This is my oh so pretty white chalk paint table. I found it at the Nashville Flea Market about 9 shopping trips ago. It wasn’t white then. It had finger nail polish, shoe polish, glitter, and who knows what else on it. 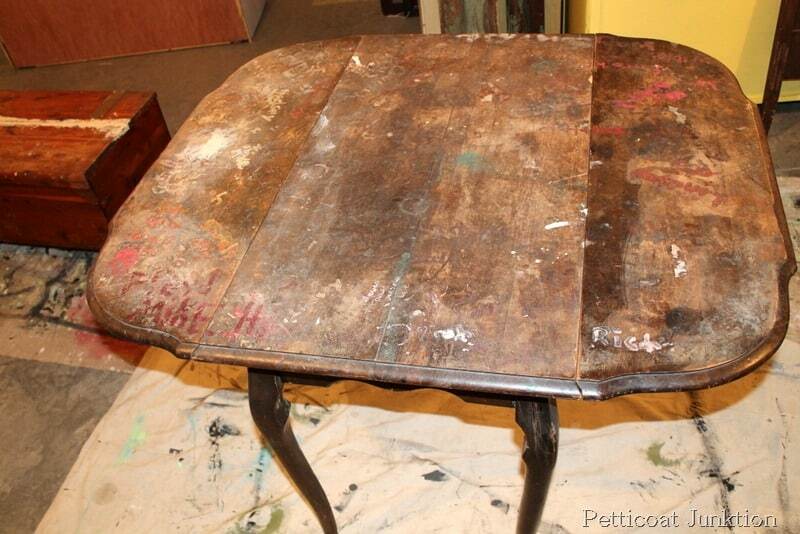 I painted the table with chalk paint! 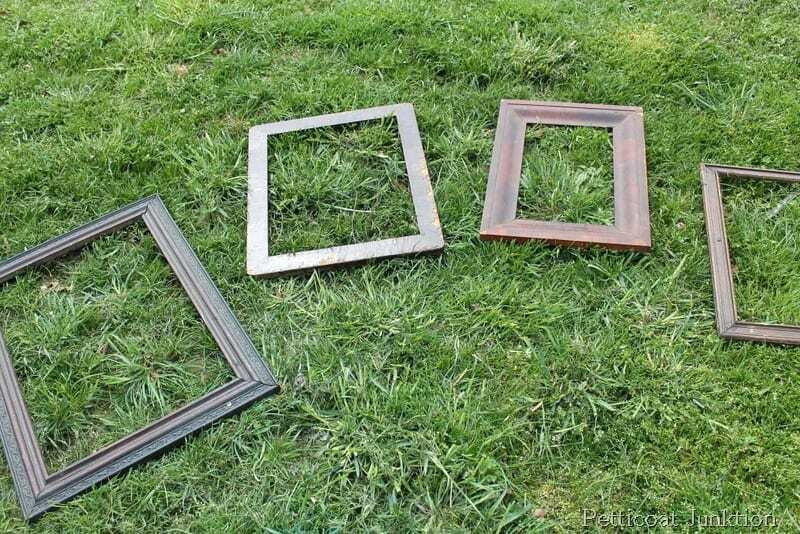 And the frames with spray paint. See how horrible the table was when I bought it? I have a thing for drop leaf tables and I had to have it. 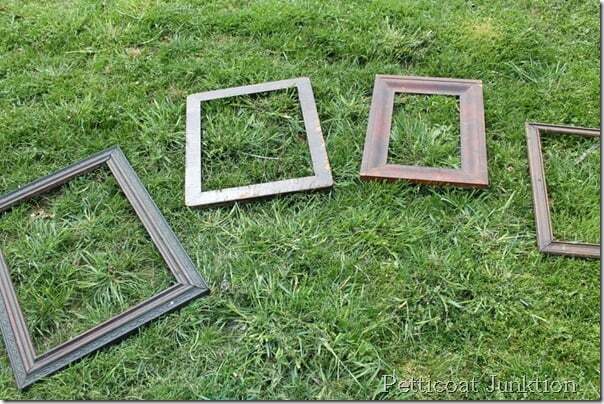 I bought the frames at My Favorite Junk Shop.I laid them out on the grass and grabbed the spray paint. I know……I should have something under them to protect the grass….just shoot me! 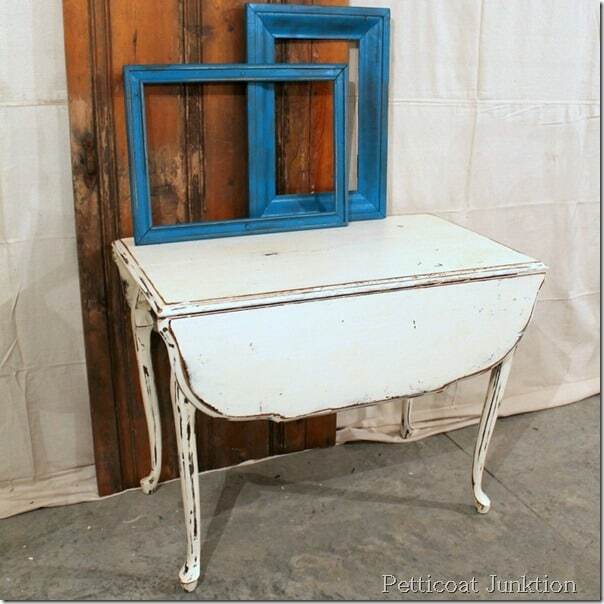 Rust-Oleum spray paint in Satin Lagoon was the color of choice and Rustoleum is the same paint brand I used for my Create An Aged Mirror From Clear Glass project. I don’t care what anyone says…..there is a major difference between spray paints brands. The generic kind from the big box stores just isn’t very good. Sorry, that’s my opinion. I love Rust-oleum. I sanded the top of the table then primed with Glidden Gripper Primer in Grey and put on two coats of Vintage White CeCe Caldwells’ Paint. Then…..wait for it….I took my electric sander and went to town. You guys know I’m a furniture distressing freak. I also lightly distressed the frames but I did them by hand with a small piece of 60 grit sandpaper. 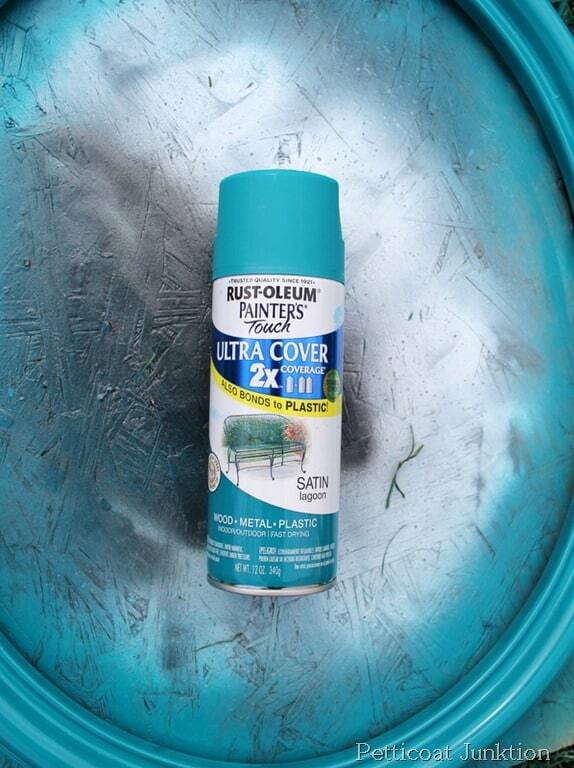 Do you use spray paint and if so what brand do you use? Am I wrong about the generic kind? Maybe you guys have some favorites. 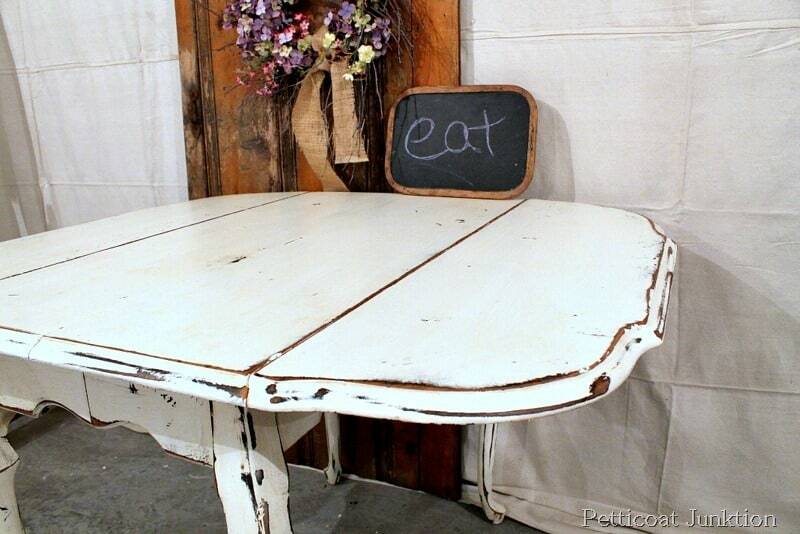 Do you like the vintage white table? 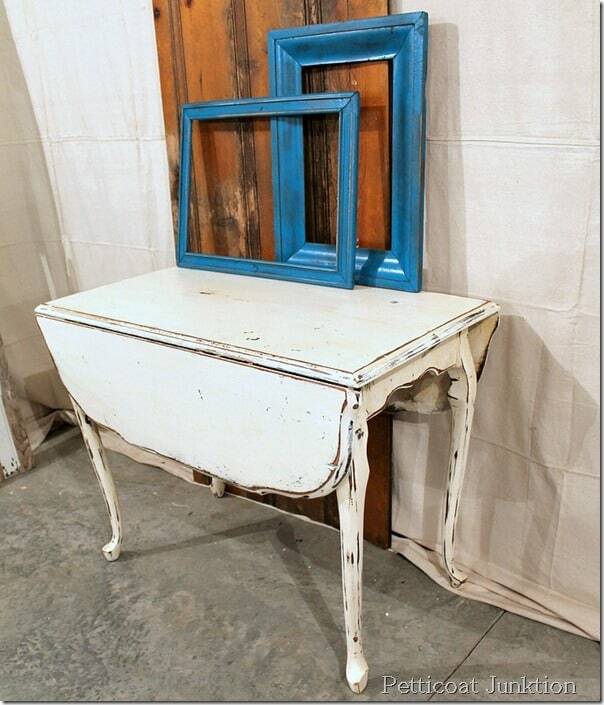 View My Video Tutorials on painting furniture, stenciling, barnwood finish, and more by clicking here. Luv the white table. Just beginning to paint….why did you prime with the ce ce caldwell paint? I didn’t know a primer was required if you used chalk paint. My husband said he is afraid to stand still any more…he might get painted! Luv reading your info….. Though I admit that pricy paint is better, the $1 cans of royal blue paint at walmart have helped me to color coordinate my apartment and still be able to afford to eat. Somehow I lucked out, and my kitchen curtains, potholder, etc. exactly match the spray paint. I usually use Rustoleum, too. 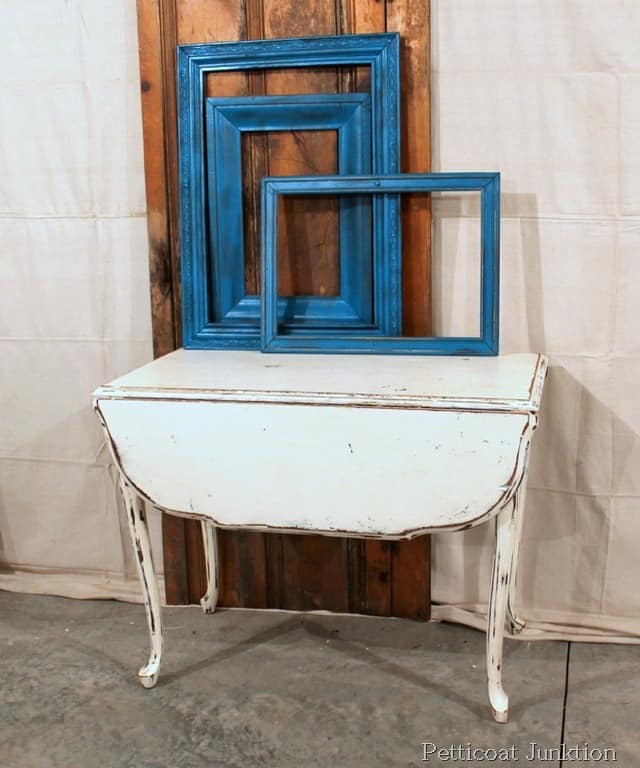 But just on small projects, like your frames… which look great by the way! Just curious about the flea market you mentioned as my husband and I are spending a few days in TN next week. It’s the flea market in Nashville and it is the fourth weekend of each month. have a wonderful weekend, lovely blogger. I agree that not all spray paint brands are the same. Some are better than others. With that said, I haven’t been happy with any spray paint… ever. Perhaps I’m not cut out for spray paint. Too bad because it’s designed to make painting easy! Martha, I agree about the spray paint but I do sometimes use it for frames…..never ever for furniture!! 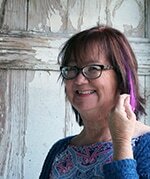 Thanks for letting me know about Shabby Creek Cottage feature Suzan. I taught a furniture painting workshop yesterday and didn’t get much else done! Thanks for the lovely comment! I’ve wanted to be featured by Gina foreverrrrrr. Yes. We went thru the back room. Didn’t know we weren’t supposed to. LOL. It was alot to see for sure. Would have loved to bring a few doors home too but we were pulling the camper on our way to gulf shores. No room. Boo. Just stopped to see Mr. Butler and he told me you were there ysterday. Bought ahuge box of old Christmas lights for next to nothing. What a sweet man! I’m glad you made it to the shop. Was it all you expected? Love the table!! What character it has. I agree with the spray paint. Cheaper is not always better!! The blue in the frames is just the sweetest color. You have the best eye!! I love that drop leaf table! 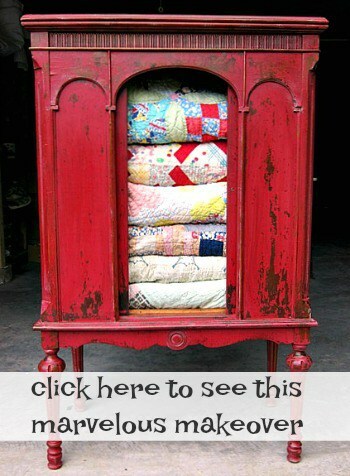 major furniture crush! I don’t do the spray paint, I gum it up too much, drips and over spray and just a mess… my hubs is the spray paint guy… he prefers the name brands too, you get what you pay for he always says. There is definitely a difference in spray paints. I was painting my mother in laws white wicker furniture. She bought a dollar a can version. It was like a clear coat. 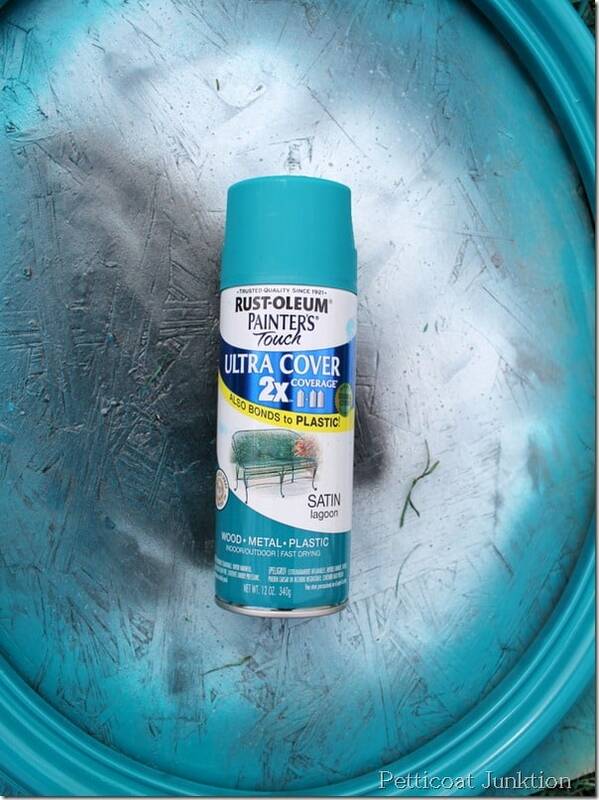 I went out and bought rustoleum brand and was amazed at the difference of coverage. Sometimes you have to buy quality to get the proper outcome.